I am very happy with Zack and also happy with the dealership. They weren’t pushy and did everything I asked them to do to make my car look better. They tented the windows and are also going to fix the chip in my windshield the day after I bought the car. Even though we bought the car during a dealership move they really took care of us. Scott was very helpful and informative when it came to warranty and quality. Sales staff was super, guys that detailed the car were helpful and nice, and the paperwork piece was smooth and easy. Great overall. My daughter is very pleased with the car. Papa was very knowledgeable and friendly. He gave detailed demos to both myself and my wife. Cody was fair during negotiations and was knowledgeable in the process. Scott made the paperwork process smooth and streamlined. 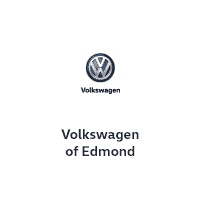 Overall the dealership experience at Volkswagen of Edmond was one of the easiest vehicle transactions I’ve been a part of in recent years. Very professional staff and very low pressure sales environment. Everybody was friendly and helpful. It was really refreshing that the longest part of the visit was deciding what car I wanted, instead of being pushed to buy all the “extras” I didn’t want. Sells person was very nice and very knowledgeable about the car. Really enjoyed my visit! The staff is friendly and very knowledgeable. My oil change was very fast! Didn't even finish a cup of coffee before I was told my car was done. Top notch service! I look forward to seeing you all again at the new store for my next visit.